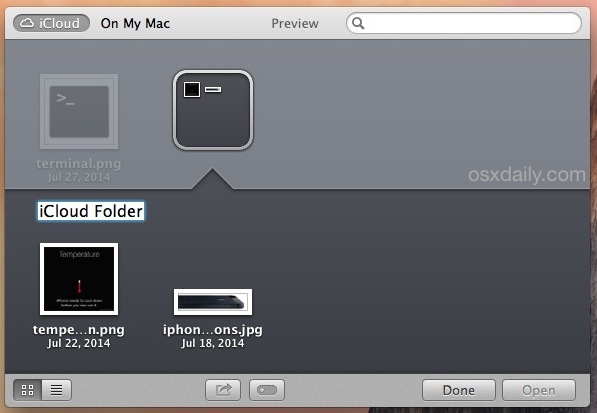 Though many Mac users don’t use iCloud for their primary document storage, those users who do know that the iCloud document browser found within an Open or Save dialog box window can become cluttered with files rather quickly. A simple solution is to make folders for the iCloud documents, which is easy to do but not the most obvious thing in the world. 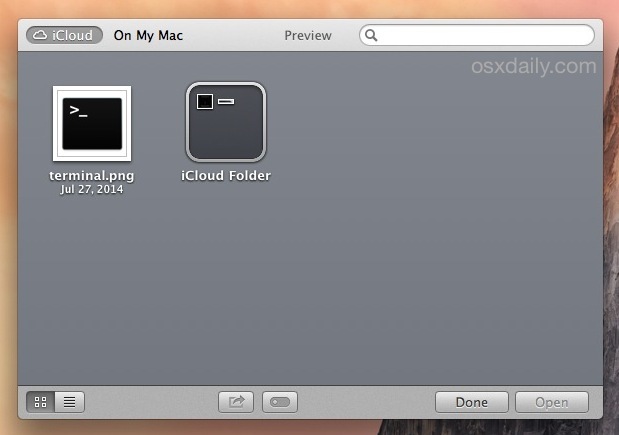 Unlike creating a standard folder in OS X with a keyboard shortcut or Finder action, doing so in iCloud is a bit different, behaving more like making a folder in Launchpad or even iOS. Keep in mind that not every Mac app supports iCloud storage, so you will only be able to do this within supported apps like TextEdit, Preview, Pages, Numbers, Keynote, etc, at least from OS X Mavericks, Mountain Lion, and Lion. That won’t be the case with OS X Yosemite, because Yosemite has iCloud Drive, which makes the folder management process considerably easier in general – we’ll cover that in a later post when Yosemite is more widely adopted. Repeat this process if you want to create multiple folders. To remove an iCloud folder, simply move all the files out of it, and it will disappear automatically – again just like in iOS or Launchpad. If you want to add new files to iCloud from the Mac, you can use the window bar trick to “Move to iCloud”, or you can also drag files from the OS X Finder and Mac desktop into the iCloud Browser to add them directly to the newly created folder. Just remember that deleting files from iCloud in OS X is a bit tricky and less than obvious, handled from the System Preferences rather than the iCloud Open and Save interactive browser. 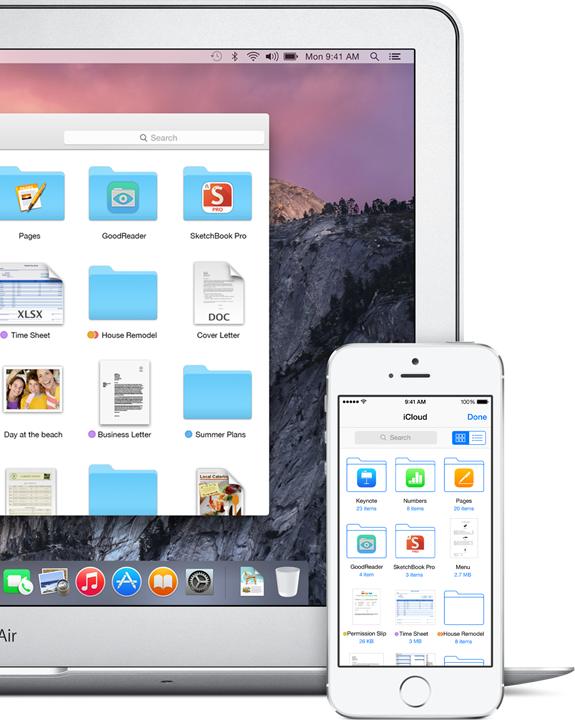 If all of this feels a bit clunky and cumbersome to you, Mac users will soon have a significantly better iCloud file management option available within OS X Yosemite and iOS 8, known as iCloud Drive. iCloud Drive puts native iCloud file management right into the Finder, where it probably should have been since the beginning, and it makes the management process much easier, including new folder creation and the adding and removal of files. 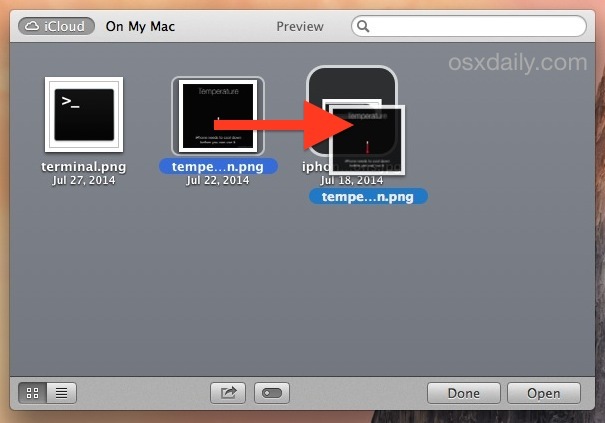 Users who are on OS X Mavericks and prior versions can sort of accomplish this on their own through this trick, which allows access to iCloud files from the Finder by poking around within the otherwise Mobile Documents folder. While that method works, it’s officially unsupported, thus it’s best reserved for advanced users. The rest should wait until OS X Yosemite. what´s the Name of the App on the iPhone, where i can browse in the iCloud Folder? Thanks for the useful info. Very helpful. A major shortcoming with Pages and iCloud has been the inability to create as many subfolders or nested folders as needed. 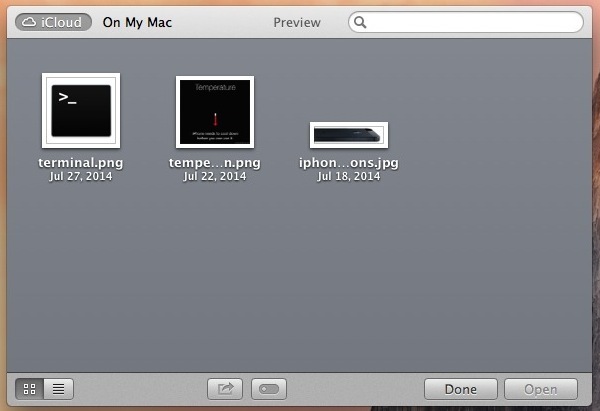 Will those same limitations exist with iCloud Drive, or will layers of subfolders be possible? Will all the documents I’ve saved to iCloud be automatically included in iCloud Drive when it is activated?